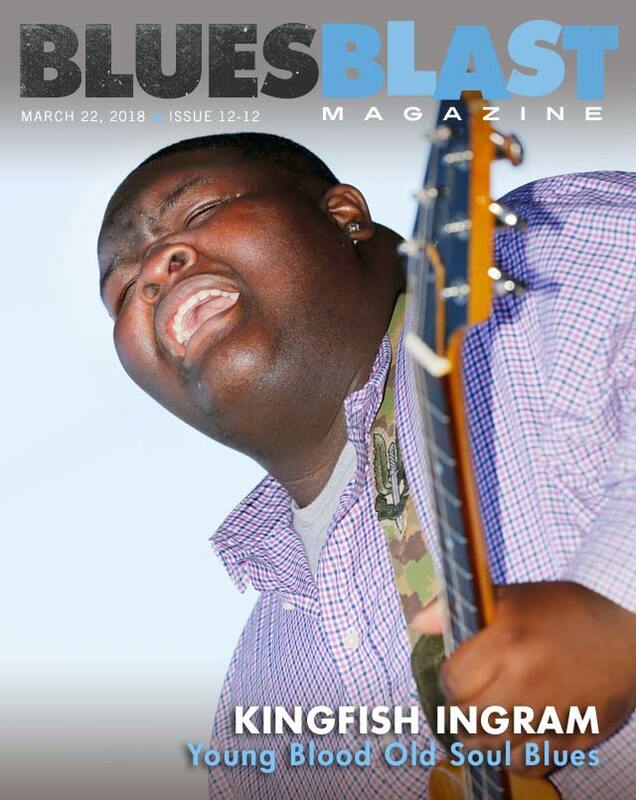 Don Wilcock has our feature interview with young Blues sensation, Christone “Kingfish” Ingram. 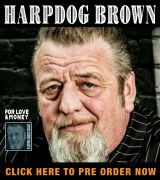 We have 8 Blues reviews for you this week including new music from Long Tall Deb and Colin John, Curtis Salgado And Alan Hager, Ronny Aagren & His Blues Gumbo, BluezAura, Eric Johanson, Cargo & The Heavy Lifters, Ilya Portnov and Bobby Kyle. 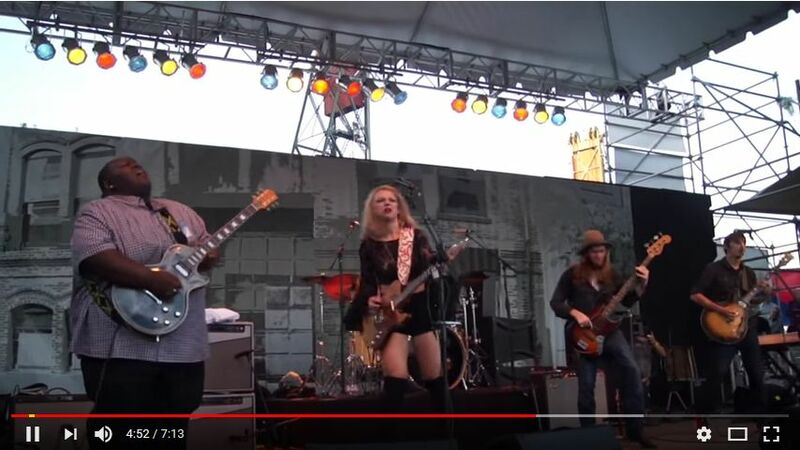 We have 2 great videos of Kingfish this week including one with Samantha Fish and Ty Curtis. Blue Monday at the Alamo in Springfield Illinois had another great show this week with Maurice John Vaughn, Freddie Dixon and Joe Morganfield tearing it up on some classic blues. 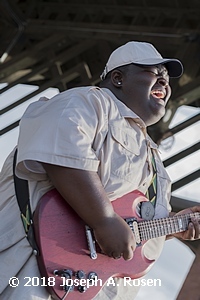 Christone Ingram’s mom Princess loves the lessons her son has learned in the Delta Blues Museum Arts and Education Program in Clarksdale, Mississippi, but she’s not quite sure she likes the way bluesman and instructor Bill Howl – N – Madd Perry called him out at the guitar classes. Kingfish was a character on “Amos ‘n’ Andy,” an African American situation comedy that was the most popular radio show in United States in the late ’20s and early ’30s and later became a favorite on television in the early ’50s. Amos was naïve and hard-working. Andy was a gullible dreamer with overinflated self-confidence. George “Kingfish” Stevens was the leader of their Mystic Knights of the Sea lodge who always had a get-rich-quick scheme that inevitably involved getting Amos and Andy into some kind of trouble. Christone doesn’t quite fit the moniker Perry has given him. At age 19, this Clarksdale, Mississippi native’s advanced guitar playing is far more than a get rich scheme. In fact, he’s poised to become the biggest act to break out of the Delta into international acclaim in decades. He has finished his debut album with producer Tom Hambridge of Buddy Guy and George Thorogood fame. Hambridge also plays drums. “There’s a bass player and two guitar players on the album,” says Christone. I asked Christone what he thought Margolin means by conquering time past, present and future. He took a long pause and then said, “Well, it means I have a traditional sound, but I can carry it on the next generation and come on to it and move it forward but not forgetting the past. His co-manager, Ric Whitney, is charged with seeing that Christone’s first album does just what Margolin hears in him: “When people hear this album, they’re going to think that it comes from his heart and his soul. There’s something about him, where he came from, who he is, and his upbringing that allows him to convey music in the way that it does, and the hope is consumers will hear it and it will resonate. It can only be good. Christone says B.B. 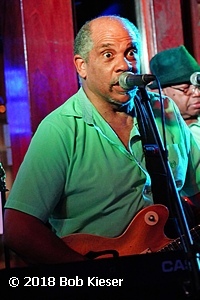 King’s drummer, Tony T. C. Coleman, saw one of his YouTube videos that went viral and connected him up with Hambridge. Coleman has toured with Otis Clay, Bobby Blue Bland, Johnnie Taylor, Albert King, Albert Collins, Etta James, James Cotton, Katie Webster, Z.Z. Hill, O.V. Wright and Buddy Guy. The album tentatively titled Been Here Before is due out later this year pending a label deal. 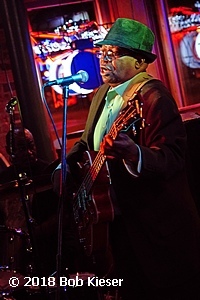 It’s all original with classic blues flavor but reflecting Christone’s gospel roots and disparate influences his website claims include Robert Johnson, Elmore James, Muddy Waters, Lightnin’ Hopkins, B.B. King, Albert King, Big Jack Johnson, Albert Collins, Freddie King, Lefty Dizz, Lucky Peterson, Little Jimmy King, Buddy Guy, Lance Lopez, Joe Bonamassa, Eric Gales, Stevie Ray Vaughn, The Allman Brothers, Jonny Lang, Steve Marriot, Prince, and Michael Burks. Whew! Christone picks up the story. “I was around music a lot when I was a toddler, and that was the music I was seeing around because there was a blues band that stayed right next to me, so I was liking it. When I got older, I found out what it was, and I was (more attached) to that than young kids and rap and that. I started learning about rap when I was 10 or something, but everything then was like Johnny Taylor, stuff like that. 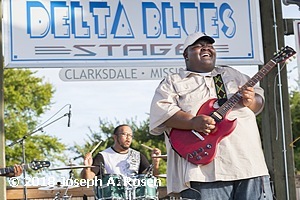 “From age eight, my parents enrolled me into the Delta Blues Museum in Clarksdale, the arts and education program. 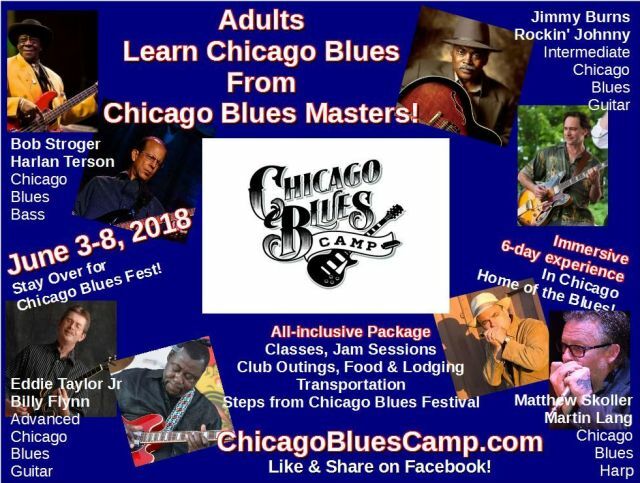 What they do is they pretty much teach kids in how to play blues and everything, and it gives the kids something to do after school, and I’ve been with them since I was eight, and I was under the (tutelage) of Richard “Daddy Rich” Crisman and Howl – N – Madd Perry. Who’s his favorite person he’s ever jammed with? After the interview with Christone was over and I was winding up with his mom, she mentioned that his early interest in blues was a symptom of something else. This is classic! 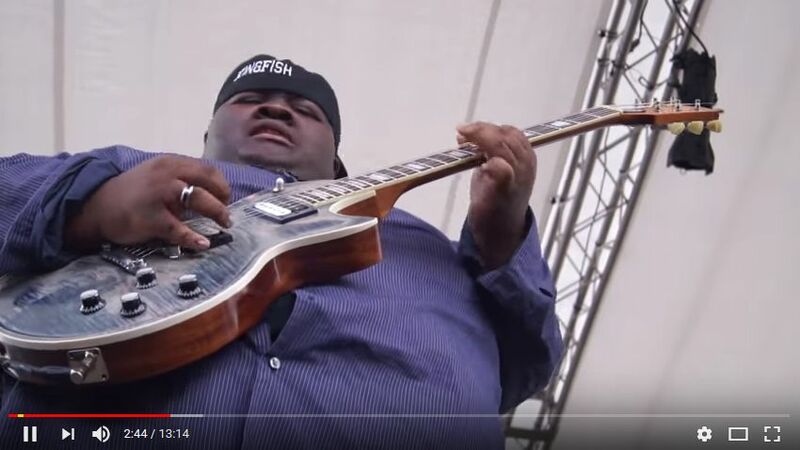 A tour de force of electric blues lead guitar playing by young Kingfish playing with some of the best blues musicians in the business and owning it. 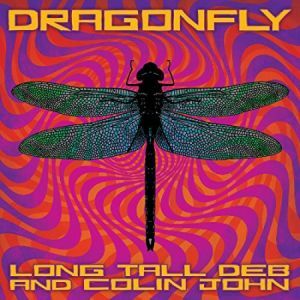 Long Tall deb and Colin John have collaborated to make an intriguing and delightfully evocative album. Their web site says, “Following up on the themes of their 2015 EP, Streets of Mumbai, Dragonfly incorporates a bedrock of blues and soul sensibilities with rock and roll, surf, spaghetti western, noir jazz, pop, Americana and world roots influences gleaned from their travels throughout America, Europe, India and Nepal.” That kind of sums it up. Blues, soul. and all sorts of cool stuff woven into an interesting album! Deb is on lead and backing vocals. Colin does a duet on the first and fourth tracks and also does backing vocals while playing many forms of fretboard instruments and even piano on one track. On drums are mostly Jimmy Castoe; James Cunningham and Jo El also so a track each on drums. Michael Hill is on slide for “Trouble.” Nate Hofman is on organ for 5 tracks and Chris Stephenson is on another. Jeff Jensen plays rhythm guitar on “Lungs.” Mick Kolassa backs up vocals on a few tracks and Claudia Hernandez provides spoken Spanish on track 6. Bass s provided by Melvin Powe, Bill Ruffino, ad Cliff Starbuck. Things begin with a spooky and spiritual intro to the song entitled “On The Way Down.” The intro is deep and dark, reeking of swamp and dark and mysterious places. Deb and John sing on this and then the song is the second track with Deb handling vocals and John and the band driving an intense beat. John’s guitar is forceful and blazes as the rest of the folks provide a throbbing and cool performance. The title cut follows with a feel and sound like a theme song to a spaghetti western mixed with a Debbie Harry song. The big, hollow electric guitar sound evokes old soundtracks and Deb’s vocals really made me feel like this was Blondie Goes West. It’s an odd combination but it’s cool. Rocking, not really blues, but cool nonetheless. Very ’60’s like and they use the transformational symbol of the dragonfly to describe what they’d been going through and feeling for a couple of years. “Lungs” is the lone cover, a thoughtful and introspective sort of piece with some killer guitar work and vocals by both parties. “I’ll Be The One” follows, a soulful rocker with inspiring vocals. Psychedelics and sitar make this another one that is out there yet restrained. Cool stuff. Next us is “Pull The Pin,” a dark song about a relationship gone so bad Deb pleads for the pin to be pulled on the grenade or the trigger pulled on the gun. They might call this noir jazz, but it’s hard to pin a genre on “Pull The Pin” (no pun intended). Bluesy, perhaps a little country, entirely slick. “Trouble” comes up next; big, thumping beat, stinging guitar and strident vocals. A nice blues rocker for sure! The next cut is “Horizontal Lightning,” jazzy with a sort of tango feel to it. Slow, deliberate, mellow and subtle. The guitar and vocals both are restrained and interesting. “Lights That Shine” emotes Americana. Cool slide and a small guitar riff that had to be from The Stylistics woven into it (from “You Make Me Feel Brand New”). The final cut is “Dragon Fly, Slight Return.” It could easily be and instrumental from an Ennio Moriconi soundtrack from the 1960;s or 1970’s. Very cool. There is some blues here, but this is more than the blues. So many influences and genres get fleshed out here. 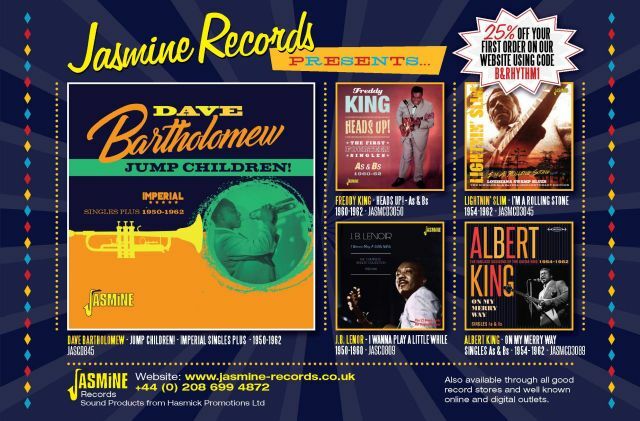 There is something for everyone, delivered by an outstanding singer and superb guitar player. I enjoyed this a lot and if you want to hear a band just give it their all and enjoy making music of all sorts then jump right on board! 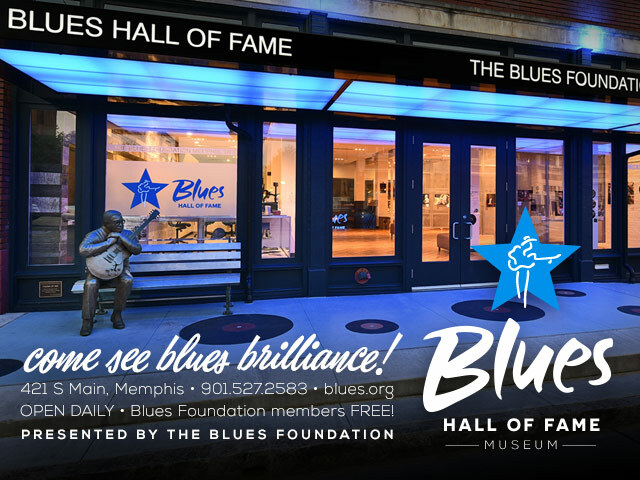 The Blues Blast Music Awards honor contemporary Blues artists and their recordings. Artists with major labels and independent artists are eligible to be considered. The eligibility period for specific recordings is music released from May 1, 2017 to April 30, 2018. 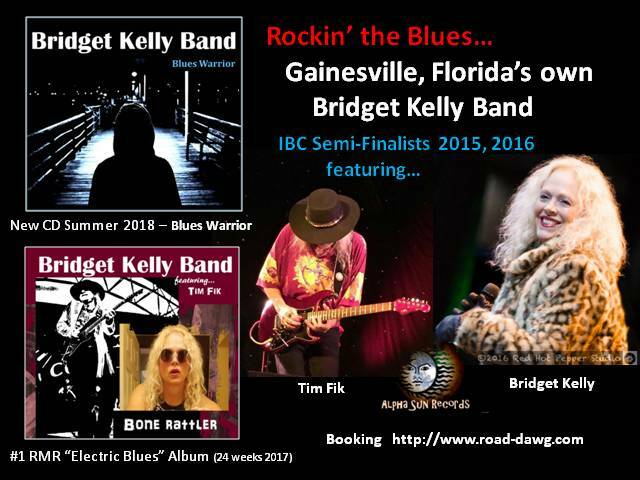 Categories such as Male Blues Artist, Female Blues Artist, Blues Band and the Rising Star Award are not tied to these specific dates but instead are based on our nominators recent observations of performances of touring artists over the past year. Submissions must be received by April 15th. 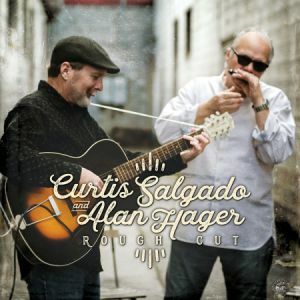 Long time soul-bluesman Curtis Salgado forgoes the full band approach here for a more sparse sound that harkens back to the hey day of acoustic blues. The funkiness in the delivery and content is here in abundance. In fact Curtis’s voice here occasionally easily passes for that of an old black blues singer from back in the day. It’s not an affectation. If I didn’t know who it was I would swear it was an old African-American blues icon. His harmonica playing drips with authenticity as well. 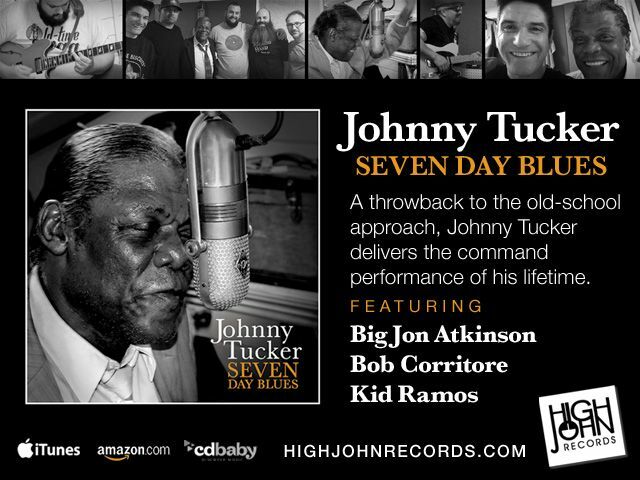 From this starting point of a truly authentic sound, the album just draws you in and encircles you with blues goodness. Band mate Alan Hager provides the acoustic or mellow electric guitar accompaniment. It’s either this twosome or unobtrusive drums, bass and piano. 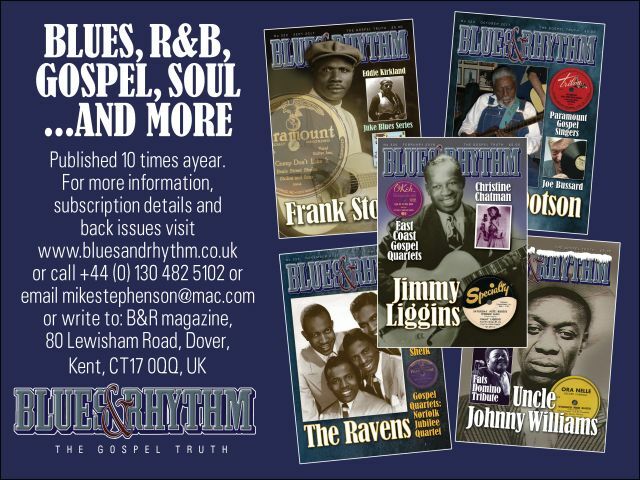 The song selection is just about half originals by Curtis and Alan along with carefully chosen blues chestnuts. I just can’t get enough of this stuff. Even on originals such as “I Will Not Surrender” they manage to conjure up a haunting and eerie vibe that takes one back to a dark blues place. Alan’s guitar perfectly compliments Curtis’s way cool vocal. That haunting quality continues on “So Near To Nowhere”. Curtis’s harmonica skidders all over the place. “One Night Only” sounds like it comes straight from a funky juke joint. Jimi Bott’s drums and Jim Pugh’s piano add to the vibe. The original “(I Want My Dog To Live Longer(The Greatest Wish)” owes a bit to the hokum tradition of the blues. Muddy Waters’ “I Can’t Be Satisfied” is an excellent interpretation of this classic tune. The drums and slide guitar skip along just nicely. Curtis captures the essence of Sonny Boy Williamson’s(Rice Miller) vocal and harmonica nuances on Sonny Boy’s “Too Young To Die”. Curtis captures the world weariness Son’s voice in Son House’s “Depot Blues”. Larhonda Steele adds secondary vocals to the gospel flavored traditional “Morning Train” to great effect. In the original “Hell In A Handbasket” you can sense the beer soaked saw dust on the floor of a classic juke joint. Curtis accompanies himself on barrel house styled piano along with his cantankerous lyric delivery. The guitar instrumental “The Gift Of Robert Charles” starts off as a mournful tune then morphs into an upbeat gospel-tinged groove. You can hear the reverend preaching in the guitar notes. Upbeat harmonica, guitar and bass enliven Big Bill Broonzy’s “I Want You By My Side”. Curtis and Alan take you as close to the hey day of funky old time blues as you can get without the use of a time machine. It’s hard to discern the real stuff from the spot-on originals without a score card. The crudeness in the playing of the old masters is captured here. That laid back feel good vibe permeates the entire recording. You can’t miss with this stuff. Put this on the player and close your eyes and transport yourself back to the old days in the Mississippi Delta. Much like countryman and former band mate J.T. Lauristen, Norway-based guitarist/vocalist Ronny Aagren proves without a doubt that the mighty Mississippi has a branch that flows through Scandinavia with this rich gumbo of New Orleans, Texas and Delta blues. 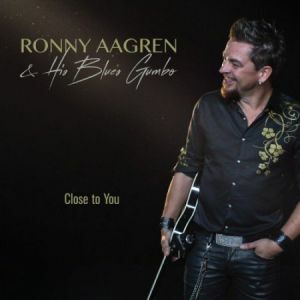 Based in Raelingen and a 30-year veteran of the music business, Aagren’s influences range from Robert and Blind Willie Johnson to Howlin’ Wolf, B.B. King and The Fabulous Thunderbirds. 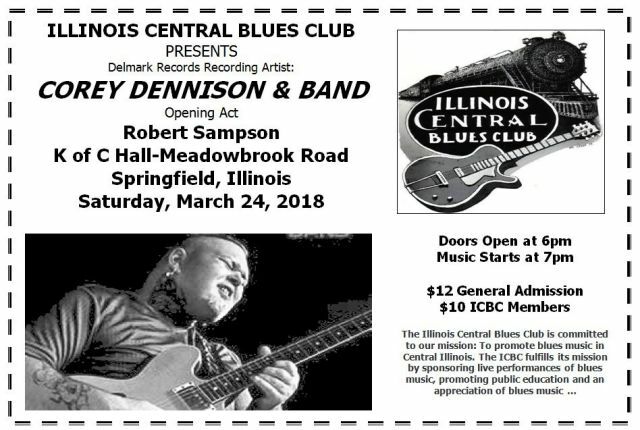 He’s worked and toured with several top bands in Europe, including Lauritsen’s Buckshot Hunters, Billy C. Farlow, Little Andrew and Larsen Last Chance, and formed this band for a 2016 stint on a European blues cruise. Producing a sound that would fit comfortably in East Texas or the Louisiana bayous, their show – and subsequent gigs in their homeland – went so successfully that they’ve been touring ever since. A skilled slide guitarist, Aagren possesses a distinctly recognizable sound on the fretboard and a pleasant, lilting voice, although he also delivers tasty single-note runs throughout most of the material. He’s backed by keyboard player Alexander Andre Johnson, bass player Roar Paulsberg and drummer Ole-Christian Rydland, all of whom sing, too. Issued on Lauristen’s Hunters Records imprint, the disc swings from the jump. Although some of the song titles appear to be covers, all are originals. A solid single-note guitar solo opens the straight-ahead blues, “Trying To Get Close To You,” which deals with a one-way relationship in which the singer’s full of desire and the lady flirts, she repels him every time he tries to move things forward. Johnson’s organ solo mid-tune shines, as does the stop-time chorus. The rhythm section and keys kick off “Walking With The Devil,” a modern treatment of standing at the crossroads, trying to decide which way to go. This time, the singer’s so drunk that his mind has a will of its own and the devil’s incarnate in a woman with “fire in her eyes and a body of stone.” He realizes his time’s up the next morning when he awakens beside her, sees her as Satan and realizes that all her beauty has gone. Aagren proves he can whistle as he brings the song to a close. “Silence” describes the bittersweet emotions the singer deals with when thinking happily about a lady while, simultaneously, his heart feels blue, realizing he’s lonely and chasing shadows to fight the pain. The love theme continues with the percussive “After Midnight,” which finds him visiting another lady who urges him to stay, and the old-school rocker “A Question Of Time,” in which he realizes he’s going to get what he desires. The instrumentation quiets for a solo guitar opener for the gospel-tinged ballad “Precious Lord” while ba military drumbeat opens the slide-driven “Bring Me Home,” which asks the Lord to lead the way. The action ends with the slow-blues ballad “Sometimes,” in which Aagren wonders how to handle a relationship in which he fears the lady’s found someone else, but doesn’t care because he realizes that they’re through. Available through Amazon, iTunes and other retailers, Close To You is a great debut album. The musicianship shines, and the material is fresh despite familiar themes. Strongly recommended. Some perennial conundrums: “Which came first, the chicken or the egg?” “Is Russia part of Europe or Asia?” “Does Jimi Hendrix qualify as a blues or a rock artist?” Granted, not everyone will puzzle over that last one, but the target audience of this e-zine sure will. 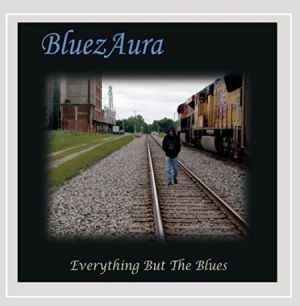 Genre fans who say “yes” to the Hendrix dilemma are slated to go gaga over Oklahoma City’s BluezAura and their debut album, Everything but the Blues. Those who don’t – well, won’t. The latter group might say, “Hendrix’s and BluezAura’s tunes are based on the blues, but using traditional eight-and-twelve-bar rhythms in hard rock songs won’t transmogrify them into blues songs.” The former group might say, “Hey! 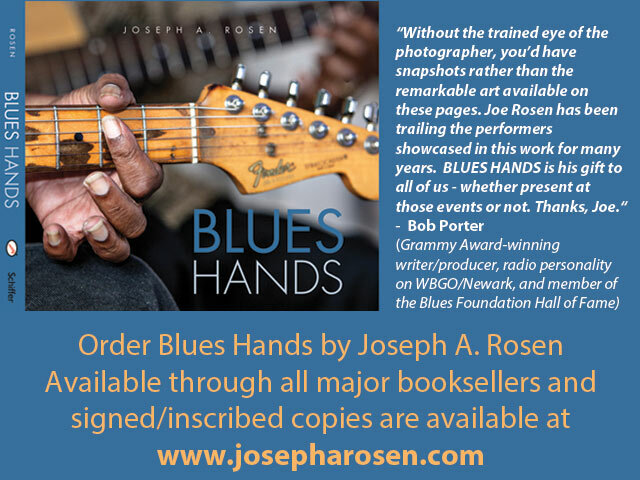 It’s guitar monster/guitar hero blues, and that’s a legitimate category.” In this reviewer’s book, it is, and it’s one she uses quite often. No matter which way you slice it, BluezAura’s brand of music is high-energy and intense, perfectly fit for live outdoor concerts. Volume alert: On twelve original tracks, they bring the house down and blow the roof off. Lead man Robby Swihart provides laid-back, breezy vocals, letting his flaming shredder do most of the talking. 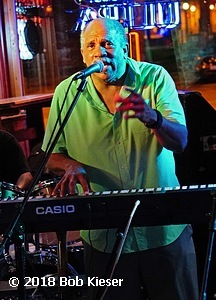 He also plays keyboards, while bassist Kenny Goodwin and drummer Vann Swihart provide background singing. 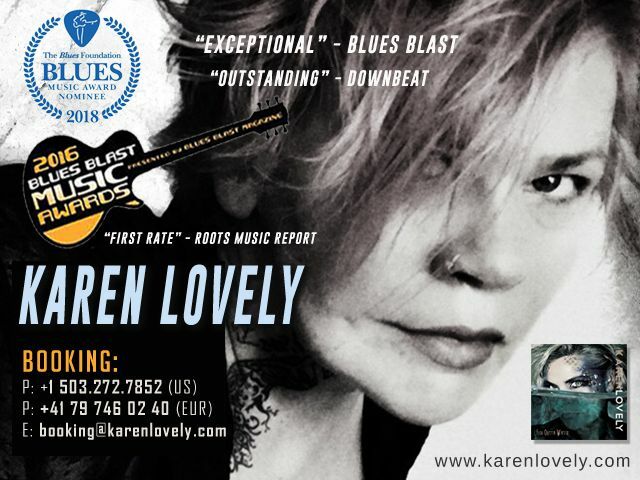 The title track of BluezAura’s debut release demonstrates exactly what’s right, and/or what’s wrong, with including the likes of “The Wild Man of Borneo” in the ranks of blues legends. Hendrix fans will love BluezAura, but others may think their debut album offers Everything but the Blues. 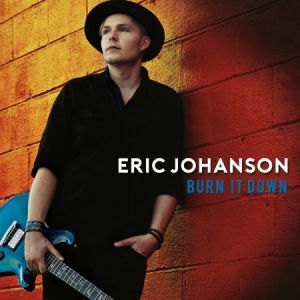 Guitarist/vocalist Eric Johanson has the right to sing the blues. He was a fixture in the music scene of Louisiana for years, but emigrated to New Zealand in 2006 after he lost everything he owned when Hurricane Katrina destroyed the home he established in New Orleans. Born and raised in a musical family, Johanson possesses a beautifully rich voice that plays off well against his down-and-dirty six-string sound. His maternal grandfather was a piano tuner and jazz clarinetist, his grandmother was a pianist who sung in church choirs and aunts played cello and bass. His paternal grandfather owned a music store, and Eric started playing guitar at age five. Eric began jamming in the Crescent City at age 15 after playing with a band at home two years earlier, frequently traveling from his home in Alexandria, and he lived in the big city for several years before tragedy struck. He returned the U.S. in 2010, quickly reestablishing himself in the bands of a trio of legends — Cyrill Neville, Terrance Simien and Corey Henry’s Treme Funktet. 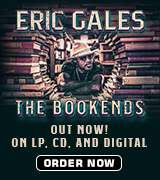 Both those influences and lessons learned come through loud and strong on Burn It Down, Eric’s debut CD as a bandleader. He bears his soul about the hardships he’s endured in music that blends everything from Delta blues to funk, blues and rock in 10 originals and one cover here, playing in a power trio format that includes Whiskey Bayou label owner Tab Benoit on drums and his longtime bandmate Corey Duplechin on bass. A haunting guitar line opens “Burn It Down,” a Delta-infused lesson that deals with Eric having nothing left to lose as he weeds elements from his life that are holding him back as he works to set new, healthier goals. The music percolates under the lyrics and builds tension throughout. The sound brightens and tempo quickens for “She’s In Control,” a rocker that describes a woman who enters a bar in overdrive and makes the singer high for no reason. He quickly realizes she’s in full control of his personal demons. The rhythm section opens the powerfully autobiographical “Bang Against The Wall” in which Johanson states that he was born restless and that nothing has changed in a life dealing with high hopes and plenty of frustration, while “Graveyard Queen,” a slow blues co-written with Benoit, paints a dark picture of a woman who leaves a path of destruction as she dances slowly, leaving people she touches wary of trusting anyone again. The funky “4 In The Morning” describes being in a barroom and not wanting to go home, while “Live Oak” is an image-filled message about life in the South. It cautions to watch your step because the roots run deep. A repetitive eight-note riff drives “Till We Bleed,” which describes a relationship that needs to undergo a major change. Johanson puts an interesting spin on unconditional love in “The Fugitive” – the singer’s a man on the run who’s taken in by a lady willing to give him a second chance at life — before the only cover number in the set, “Oh Louisiana,” written by Charles Edward Anderson and first recorded by Chuck Berry, gets a major makeover as it sings praises for The Pelican State. The funky “So Cold,” which describes the end of a romance, is up next before “On My Own” gives space for Eric to reflect on his past as he realizes he’s got to build his own dreams going forward. Aurally different and available through most major retailers, Burn It Down is a winner on all counts. It’s bluesy, modern and full of interesting themes. True blues for modern times. 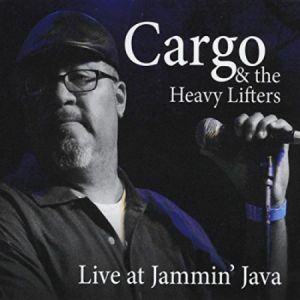 Randy McCargo(Cargo) And The Heavy Lifters from Virginia cover rock favorites and a few blues numbers in this live set with a basic singer, guitar, keyboard, bass and drums line up. They are an above average bar band featuring two talented guitarists with one of them doubling on keyboards. The rhythm section offers up tight support. Cargo’s gruff voice fares better on the rockers. The guys are good, but this kind of music goes over better in a live setting. Cargo’s husky voice does a fine version of Fats Domino’s “Hello, Josephine”, that includes some cool organ playing from Jim Wilson. He plays more latter in the album. I could of went for even more. Dave Mason’s “Feelin’ Alright?” is given a good workout featuring Jim’s piano and John Sterling’s fine guitar skills. The old AM radio chestnut “Vehicle” stays close to the original with the keyboard “horns” not sounding out of place. The Allman Brothers Band “Don’t Want You No More/Not My Cross To Bear” features guitar that would make the brothers proud. Cargo’s graveling voice fits in just right on this number. They turn in an ok treatment of John Hiatt’s “Feels Like Rain”, but Cargo’s voice isn’t quite flexible enough to pull this one off. John O’Connor turns in a nifty bass solo. Buddy Guy’s “What Kind Of Woman Is This?” is funky with a dual guitar attack and a bit of wah-wah. John Mayer’s “Gravity” is an ok bit of light and soulful pop music. Willie Dixon’s “Let Me Love You Baby” breaks out a bit of that organ on a lively rendition. Elmore James’ “The Sky Is Crying” gets a blues-rock guitar treatment to good effect. Feel good music by a crack bar band, what’s not to like? Cargo’s vocals work 95% of the time. Let’s see…two good guitarists, great keyboard man and a super tight rhythm section. From the crowd reaction they seem to be a local favorite. Crack open a couple of cold ones and make them one of your favorites as well. Greaseland Studios has become the go-to place to get a quality recording, with producer Kid Andersen at the helm. Not only does Andersen deliver killer sound, but being a musician, he also understands the intricacies of the music. That allows him to provide more detailed guidance in helping an artist shape their musical vision in the studio. It helps the cause when he contributes his formidable guitar skills, as he does on this release, in addition to playing bass on eight tracks. Other key contributors include June Core on drums and percussion plus Chris Burns on piano and keyboards. But the real star is the Russian-born harmonica ace, Ilya Portnov. Now based out of Los Angeles, Portnov has fashioned a diverse instrumental offering that deftly mixes his wide-ranging musical interests. 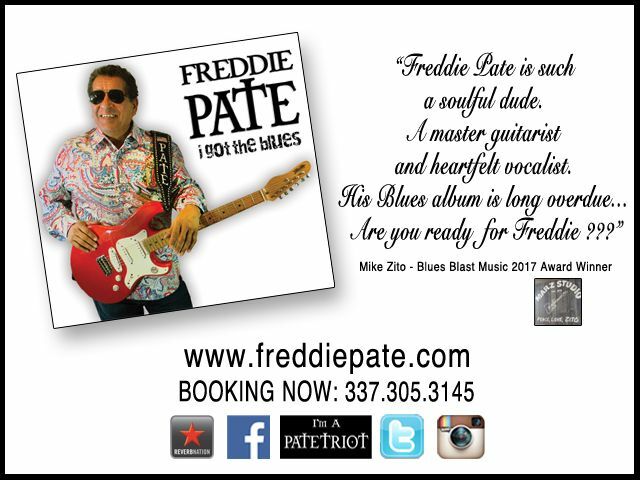 Blues fans will certainly welcome “Behind The Wall,” a riveting tribute to Little Walter with plenty of fat tone and over-blows, with Robby Yamilov on bass. “Sunny Afternoon Blues” is a light, swinging tune that features some fine violin accompaniment from Ben Andrews and an equally striking piano solo before Portnov dances around on the upper register of his diatonic harp. Portnov switches to chromatic for a waltz through “Dance Of A Lovely Doll,” with Burns once again impressing on piano. The arrangement for “In A Town Garden” is centered on the organ, generating a late night feel behind dazzling solos from the leader and Andersen on guitar. The title track is another original that combines the blues with some Eastern European folk influences, highlighted by Portnov’s heady improvisations. “Surfin’ The Baltic Sea” is a thrilling, high-energy romp sparked by Andersen’s sparkling fills. Rob Vye adds acoustic guitar to jaunty cover of the Rev. Gary Davis tune, “Cincinnati Flow Rag”. Andrews is back on a piece based on the tango, “1928,” his mournful violin tones playing off the melancholy that Portnov generates on the chromatic harp. The band gets loose on the closing track, “Till The Early Morning,” with Portnov and Andersen wailing away on their instruments over an infectious Bo Diddley-style beat. 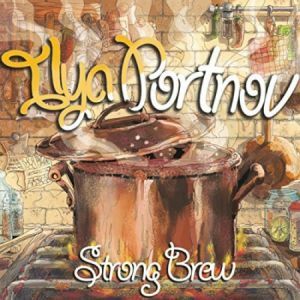 This is Ilya Portnov’s first release under his own name, following a band project from several years ago that featured Brazilian choro music. You can be sure that we will be hearing more from this fascinating artist with a unique musical outlook. Anyone that loves harp playing of the highest order needs to hear this recording, as does anyone with an adventurous set of ears. 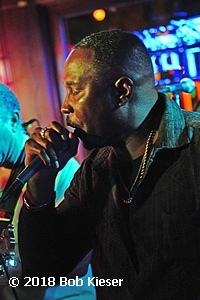 Bobby Kyle has led a long and storied life in the blues, learning from Lonnie Mack in the 1970s, being part of Bill Dicey’s band from 1979 to 1981, touring with Eddie Kirkland in the early 1980s and being a key part of Johnny “Clyde” Copeland’s band both on record and on the road from 1989 to 1997. For the last 20 years, he has led his own band as a singer, guitarist and songwriter. It’s My Life is Kyle’s first release since 2004’s Last Call For The Blues and it is immediately obvious that he is still firing on all cylinders. Roaring out of the blocks with Copeland’s own “Daily Bread”, Kyle and his top class band, The Administrators, display a muscular authority and confidence. The Administrators comprise Joel Perry on acoustic and electric guitars, Everett Boyd on electric and upright bass and Marc Copell on drums and percussion. Sadly, Perry passed away in September 2017 and It’s My Life is dedicated to his memory. Guest musicians on the album include Dave Keyes on piano, organ, wurlitzer and accordion, Joey Simon on harmonica, Fred Scribner on nylon string guitar on “Tomorrow Night”, Laron Land and Alex Harding on tenor and soprano saxophone and baritone saxophone respectively, and James Smith on trumpet. Little Sammy Davis adds harmonica to “Tomorrow Night”. Kyle has a warm, weathered voice that has echoes of Delbert McClinton, especially on the pop-blues-rock of the title track. He is also a fine guitarist, with a powerful, melodic style that reflects the influence of the likes of Mack and Copeland. His solo on “Highway Man” is particularly memorable in its less-is-more approach. Kyle’s songs touch on rock, soul, jazz-rock and even country, all underscored by the blues. He contributed six of his own songs to the album. The six covers are all well-chosen and well-executed. The most well-known is probably Robert Lockwood Jr’s “Little Boy Blue”, which closes the album and which on which Kyle backs himself with just a resonator guitar and a bottleneck. Having acknowledged his debt to Copeland in “Daily Bread” (originally recorded by the Texas legend on his Boom Boom album), Kyle tips his hat to another former employer on “I’ve Got My Bloodshot Eyes On You” which keeps the acoustic guitars of Kirkland’s original but adds Simon’s harmonica to the front of the mix. Denise La Salle’s “Someone Else Is Steppin’ In” is played closer to the blues-rock cover by Buddy Guy on 1994’s Slippin’ In, rather than LaSalle’s funky original. “Tripping Out”, by Philly soul legend, Bunny Sigler (who also sadly passed in late 2017), features some fine piano from Keyes. “Tomorrow Night”, originally written in 1939 by Sam Coslow and Will Grosz and since covered by everyone from Lonnie Johnson and Lavern Baker to Elvis Presley, Jerry Lee Lewis and Bob Dylan, harks back to the earlier versions with the acoustic instrumentation and even features some static at the start and end of the song, reminiscent of a needle being placed on an old record. 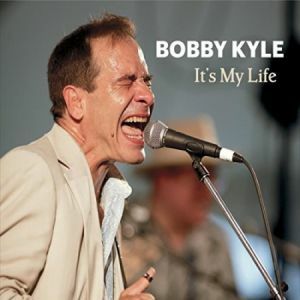 It’s My Life is a fine release of modern blues and blues-rock from Kyle. Let’s hope it won’t be 14 years until the next one. 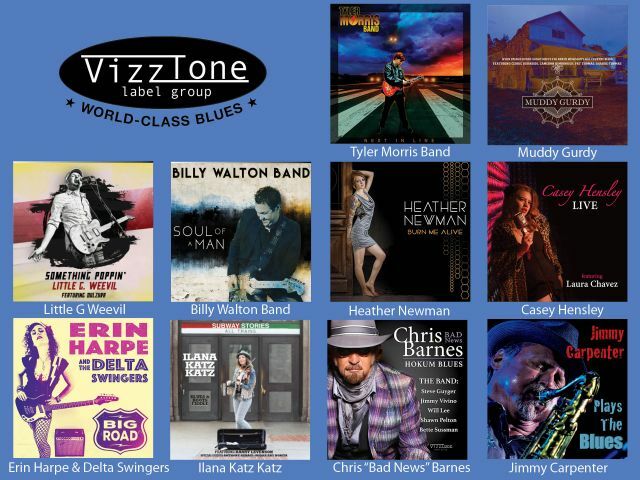 The 13th Annual Ventura County Blues Festival, Southern California’s Longest-Running Yearly Big Blues Event, returns on Saturday, April 28, to Studio Channel Islands, 2222 E. Ventura Blvd., in Camarillo. Gates open 10:00 am, music begins at 11:00 am. Tickets $30. (Pre-Sale), $40. (Day of Show). Kids 12 and under, free with paid Adult General Admission. V.I.P. Tickets $125. (online only). Festival proceeds benefits Food Share, Safety Harbor Kids and other local charities (please bring a nonperishable food item to donate to Food Share). 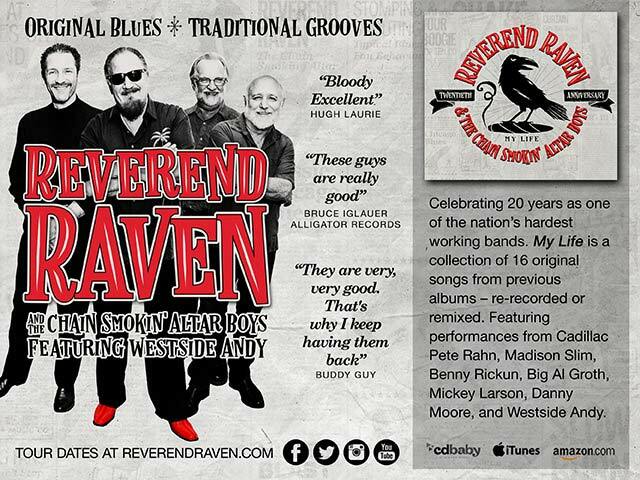 Info: (805) 501-7122 or visit http://venturacountyblues.com. Benefiting Safety Harbor Kids and other local charities. Donations welcome. The Sacramento Blues Society will host a performance by the Johnny Rawls Band on May 25th, 2018. Doors at Goldfield Trading Post @ 1630 J St. Sacramento, CA will open at 3:30. For tickets visit: www.sacblues.com/event/johnny-rawls. 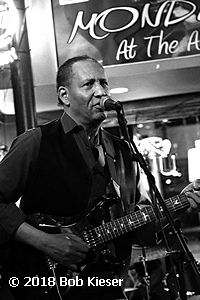 Johnny Rawls is a soul blues legend. 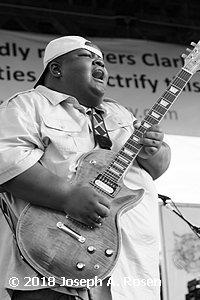 In fact, the term “soul blues” was invented to describe his music. With a career spanning more than 50 years, he’s done it all. He’s an internationally recognized recording artist, music producer, and songwriter who tours extensively throughout North America and overseas. 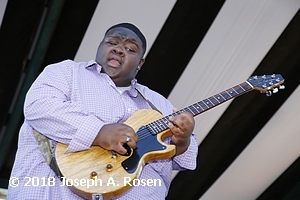 The Charlotte Blues Society announces its April Blues Bash, 1 April (no April fool’s joke here) featuring Joseph Michael Mahfoud, also at the Rabbit Hole, 7:00 doors, 8:00 show, with jam to follow. Sacramento Blues Society is proud to present the legendary Johnny Rawls, Nominee for 2018 Soul Blues Male Artist and Soul Blues Album of the Year for “Waiting for the Train”, on Sunday, March 25, 2018, Goldfield’s Trading Post, 1630 J Street, Sacramento. Doors open 3:30 p.m. ~ Show: 4 to 7 pm. Purchase tickets Advance Online: $29 Members, $34 Public at www.sacblues.com or at the Door: $30 Members, $35 Public. Monthly shows at the Hope and Anchor in Loves Park, IL are on the second Saturday of the month. They are from 8:00 to 11:30 PM and there is a $5 Cover Charge. 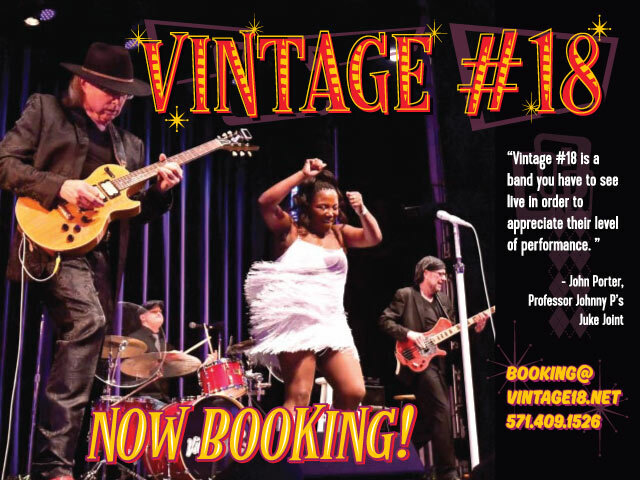 Scheduled shows: April 14 – Chicago Wind featuring Matthew Skoller and Dietra Farr, May 12 – Cash Box Kings. The Lyran Society in downtown Rockford hosts first and third Friday blues along with a fish fry. No cover, shows 7 to 10 pm. Scheduled shows: April 6 – Bobby Messano. 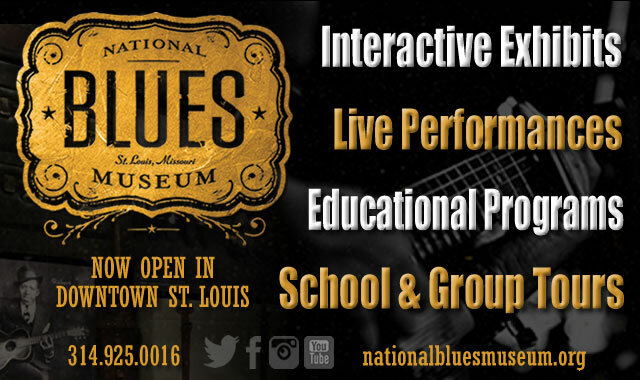 Blue Monday Schedule: March 26 – Kilborn Alley Blues Band, April 2 – The Brother Jefferson Band, April 9 – Bruce Katz, April 16 – Harper and the Midwest Kind, April 23 – Paul Bonn and the Bluesmen, April 30 – The Joe Tenuto Band. For more information visit www.icbluesclub.org.